It was an opportunity of a lifetime, or so your partner said, to earn coffers full of gold and build a legendary reputation. You remind yourself of this, while saving your friend from a horde of orcs with the Adventurer LARP Sword. 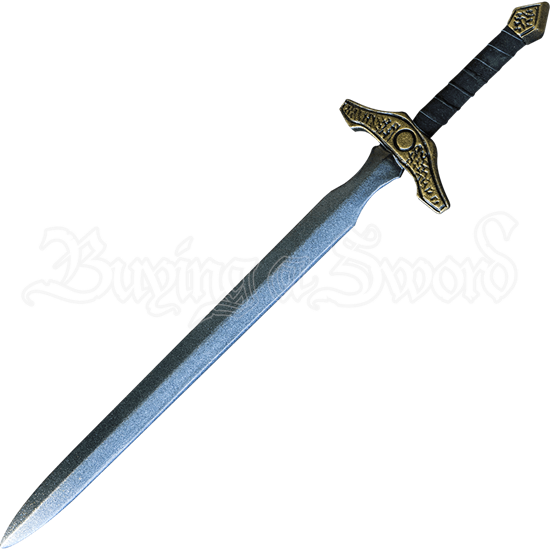 This double-edged blade proves its worth when adventuring through a LARP kingdom. A rugged texture decorates the cross-guard and diamond-shaped pommel. A matte steel finish covers the blade. A fuller runs down the center, and a ricasso appears above the guard. Wrapping fashioned from split-leather reinforces the hilt. 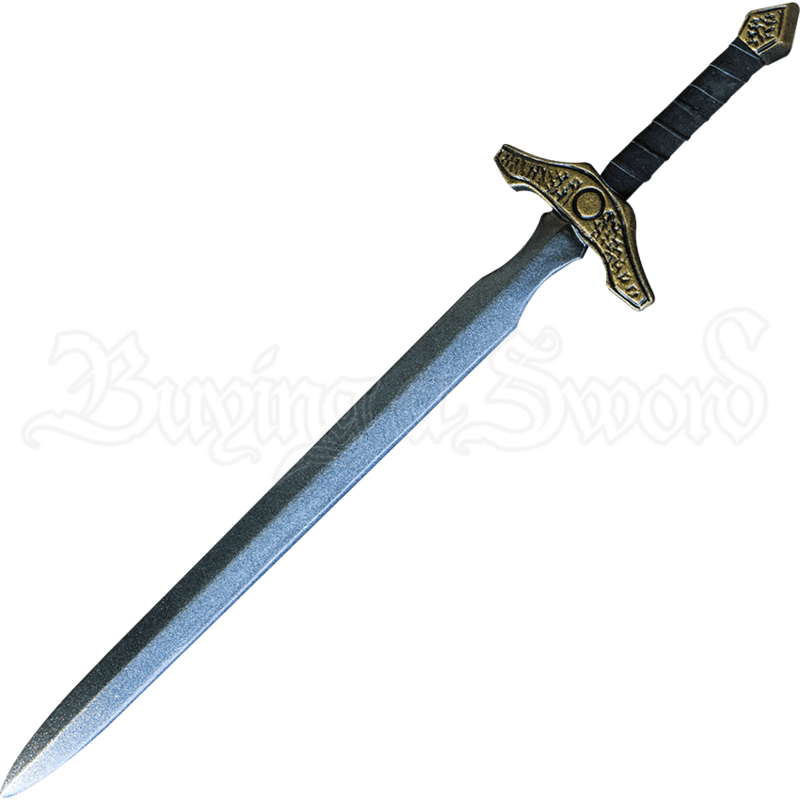 The sword is approximately 33 inches in overall length. This measurement will vary slightly as they are handmade items.